I have never been fond of the femme fatale. While that role gave a female character something more to do in the mystery/crime genre, exchanging passivity for vileness has always seemed a poor tradeoff. Moreover, the femme fatale frequently was punished at the end of the tale, not just for being evil but for also for daring to step outside of the usual definitions of femininity at the time of the archetype’s inception. This development of the femme fatale as an active and evil player in the mystery/crime genre was a reflection of anxieties surrounding the changing roles of women in America in the 1920s and the 1940s-50s1. Female characters were given power in the genre by male authors, but that power was designed to denote terror, not heroism2. Heroism was instead assigned to the men who were capable of overcoming the wiles of these women and bringing them to punishment in the end. The femme fatale exists as a test for the hero, to see if he is able to reject emotion and retain the isolation that is threatened by his attraction to the femme fatale. Will the hero be able to resist her and do the right thing? Raymond Chandler, a major influence in the noir sub-genre, was particularly fond of this trope. In the original novel Double Indemnity by James M. Cain, the hero and the femme fatale commit suicide together rather than being caught. In Chandler’s script adaptation, the hero instead decides to shoot the femme fatale, thus removing the element of choice in her death and reestablishing the aspect of punishment. There are a few Chandler-esque tropes within Solo: A Star Wars Story that seem to point to Qi’ra playing the femme fatale archetype straight. In particular, Chandler’s works held relationships between men to be more important than those between a man and a woman, and this is definitely reflected in Solo, intentionally or not. Val and L3 are both killed off in a way that alters and helps define the relationships between two male characters. Han’s relationship with Qi’ra is likewise proved to be lesser than his relationship with Chewie. The dialogue may emphasize man-woman relationships, but the narrative’s focus says that the ones between men are more worthwhile. To be clear, that’s not to say that relationships between men are not worth exploring. It’s especially important for boys to have examples of men being emotionally honest with each other. Within Solo, the issue is that it comes at the expense of the female characters. As a result, it feels almost inevitable that Qi’ra will fall victim to the same punishment due to the femme fatale. After all, she fits all the archetype’s qualifiers to a T.
It’s the “beauty” of the femme fatale that the hero must overcome by the story’s end to solve the case and punish the femme fatale for her other four qualities. Qualities that are sinful by her inhabiting a man’s role (ambition, intelligence) and those which are sinful in any individual (deceptiveness, ruthlessness). By overcoming his attraction and setting aside his emotions to do the right thing, the hero proves himself to be a mark above the lawless world he inhabits, a chivalric knight in a city of sin. While Han does end up proving himself a mark above common smugglers and thieves by helping Enfys Nest at the end of Solo, it’s ultimately Qi’ra who passes the test that would have been meant for Han in a typical noir tale. Qi’ra inhabits the femme fatale archetype in a manner that blends the expected tropes of the villainess with those of a male hero. It’s very easy to line up Qi’ra with the five qualities of the femme fatale, with a few changes. Some of the changes are simply a result of the era in which Solo was made as opposed to when Raymond Chandler was writing his mysteries. Other changes seem to be deliberate character choices. For example, the first qualification of a femme fatale is “beauty,” and it would be easy to simply check off this box and move along. She’s played by Emilia Clarke, consistently dressed fashionably (even on Corellia), and Lando takes the time to note her looks. However, it’s not enough that the character is just beautiful, it’s that her beauty is meant to distract the hero from, or cause him internal conflict about, the truth of her nature. It’s meant to offset his wariness about her other four qualities. As such, Qi’ra’s beauty is a point where the film language of Solo doesn’t necessarily match up with the assumed language of the noir genre. Often considered the creator of the femme fatale, author Dashiell Hammett breaks from his usually stingy prose to describe in detail the beauty of Brigid in The Maltese Falcon. But in Solo there’s no lavish, body-panning camera angles or extensive dialogue to paint Qi’ra’s looks as the reason Han is drawn to her. It’s not her beauty that’s Han’s weakness; it’s the connection of their shared history and future dreams. For Solo’s hero, the femme fatale is more than just a pretty face. She’s a full person, and therefore the audience gets to see her through that lens as well. Additionally, the next two qualifications – Qi’ra’s ambition and intelligence – are not painted as inherently negative or duplicitous. Rather they both are part of making her sympathetic and attractive. Part of this is the fact that Solo was written in a culture far different than the periods that birthed and defined the femme fatale. And then part of this is again the fact that we see her through the lens of Han. The ambition he knows Qi’ra once had, the ambition he thinks she still has – to be free – is one that is shared by him and one that he actively pursues for them both throughout the movie. Her actual ambitions are interesting in the way she both conceals and does not conceal them from Han. Deceit is the fourth qualification of the femme fatale, and Qi’ra walks an odd line with it. On one hand, she’s secretive about her past: deflecting questions and outright lying to Han about her intentions when he runs off to save Chewbacca at the end of the movie. On the other hand, she is often entirely blunt and straightforward with Han. She very clearly tells him where she falls, that she never “got out”, that the point of the game is to “stay in it as long as you can”, and that she’s done things that she believes would turn Han against her. On this note, while I understand why and how people have come to the conclusion that part of Qi’ra’s past involves sexual assault by Dryden Vos, I hope that is not canonically the case. There’s enough control and abuse in the relationship without adding in that particular element. I personally prefer the reading that Qi’ra is ashamed of violence she’s perpetrated for the sake of survival. This would avoid the implication that Han might reject her for being, or “allowing” herself to be, assaulted, as opposed to her fear of Han rejecting her for her violence against the oppressed. Her “I had to do it” plea to him after killing Dryden seems indicative of this second interpretation as well. That’s the glimpse Han got of her true self: a ruthless killer. Even if it was revealed through stopping her abuser and saving Han, that’s the side she didn’t want Han to know. Here we come to the fifth and final qualification of the femme fatale: ruthlessness. 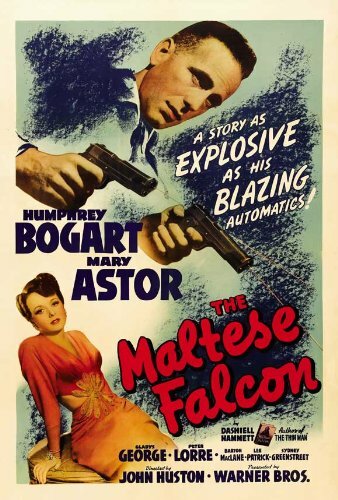 In The Maltese Falcon, the hero is warned about the femme fatale by another villain, setting her up as the most dangerous character in the story. In Solo, Beckett, himself a villain in the end, constantly warns Han about Qi’ra and her trustworthiness. Additionally, Qi’ra is clearly a skilled fighter and keeps a cool head under pressure, and she was specifically taught to find an opponent’s weakness and exploit it. Furthermore, during the first meeting with Vos, even though she works as a mediating force between Vos and Beckett, she makes no move to prevent Vos from ordering his guards to kill Han and the others. Qi’ra’s ruthlessness is tied her own survival instinct; she’s willing to do what it takes to keep on living. But, like the male hero of the noir genre, her emotional isolation is threatened by Han’s arrival. Suddenly the question is flipped: can the femme fatale resist the hero and do what is necessary to survive? In the end, not only is Qi’ra given agency in her own fate, something denied to many a femme fatale, but she is specifically given the choice that usually falls to the hero. She is the one who chooses to resist Han’s charms. She’s the one who chooses to give up her emotional desires and to look ahead to a lonely life. She does so partially because of her own ambitions, still inhabiting the femme fatale archetype, but that’s not her only reason. This other reason flips the genders on another common trope – one that puts Qi’ra among the ranks of superheroes. The central conflict of the five Spider-Man films released by Sony is how Peter’s secret life interferes with his romantic pursuits. Namely, there’s this thread of isolating himself from love in order to protect Mary Jane Watson or Gwen Stacy. The Raimi trilogy ends with the question still up in the air whether he can ever find that balance between having a partner and being a superhero. In the Amazing films, the mixing of his love and superhero lives ends in tragedy. While Spider-Man is an iconic example of this, he is not alone. Heroic isolation is a common trend in fiction. The hero pushes away his love interest to protect her from his enemies. And it’s an act rarely done with the consent or input of the woman. It’s the man making the decision on his own because he knows what’s best for her. Another famous example would be Casablanca, in which Rick overrides Ilsa’s decision to stay with him and send her off to Lisbon with her husband to save her. The few times that a woman may try her hand at heroic isolation, it’s rarely framed as the right decision. To refer to Casablanca again, Ilsa was willing to give up safety and her husband’s good opinion to make sure he escaped to Lisbon. But ultimately that decision is framed as naïve by Rick, a decision he must save her from. We see this also with Satine in Moulin Rouge! and Mary Jane Watson in Spider-Man 3. Their choice of heroic isolation is something that damsels them, something that they must be saved from. A man can handle the isolation, but a woman cannot. He is heroic. She must be saved. In Solo, however, it’s Han that can’t handle the isolation. His promise of “I’ll come back!” stays with him for three years, and when he finds Qi’ra again, he’s still trying to get her out of the syndicates. It’s Qi’ra who must choose isolation. Her expression as she closes the call with the head of Crimson Dawn reveals that she knows what she has gotten herself into, and part of her regrets it. Her expression as she watches Han and Chewie while departing Savareen reveals that a part of her yearns to go with them and be free. But in her mind, she can’t, because without her lying to cover his involvement, Crimson Dawn would be right at Han’s heels. She sees this heroic isolation as the only way for Han to escape Crimson Dawn without retribution. She must save him. In real life, this sort of isolation is not something to be considered heroic, as it does infringe on the consent of the other party in the relationship. Star Wars has multiple instances which prove this sort of isolation is actually damaging both to those who choose isolation and those who are being “protected” by it (see: Luke in The Last Jedi). Nevertheless, I find it significant that Qi’ra has the agency to make a choice generally reserved for the male hero across multiple genres. By overcoming her attraction to Han and setting aside her emotions, both to survive and to do the right thing, this femme fatale proves herself to be a mark above the lawless world she inhabits. Great piece! Qi’ra really is a fascinating combination. Thank you! And she really is. I found I started liking her more the more I thought about how her character arc and personality played out. I also thought she was an interesting example of someone who has been initiated into a gang – an aspect of organized crime that we haven’t really seen in a Star Wars movie before. Her insistence that she’s done things that only Dryden could understand, and the wedge that that drives between her and Han, is pretty typical of how violent organizations recruit people, by building a shared sense of complicity among members who participate in violent criminal activity. I found her to be much more interesting than I had expected going in! Thanks for this insightful piece. I’ve found myself appreciating Qi’ra more with each viewing. I also recommend Rae Carson’s YA novel “Most Wanted” to help flesh out her motivations. Thank you! And I definitely second the Most Wanted recommendation. That was such a fun book that really fleshed out Qi’ra and Han. I’m on aboard with this analysis! Well framed. Reading through Most Wanted currently. A very-well written, smart and concise analysis of one of SW’s most interesting “new” characters; your deconstruction of character/genre tropes that find new and original expression in the movie suggests that its quite a skillfully layered piece of work in both its vision and its execution – – indeed, I think SOLO, the film itself, is proving a far richer experience, in its Kasdanian shoot – from – the – lip style, than any of the 3 preceding Dis./LFL pictures. I’ve already read two other pieces elsewhere that are similarly insightful and incisive. I’m admittedly not remotely familiar with noir and its tropes, but I have to say, reading this, that your commentary resounds strongly with what I’ve been telling my friends ever since I stepped out of the movie theatre opening night. Qi’ra is a female antagonist like we very rarely see, one who is so because she CHOOSES to be, not because she’s a victim, circumstance or otherwise. I remember when watching the movie, being a little bit uncertain at first about all her references to how Han wouldn’t like her anymore if he knew the things she’d done, because it DID set it up to give the audience the impression that she had been victimized, probably sexually. Which, well, we’ve already had slave bikini Leia, we don’t really need yet another girl waiting to be saved. But given the reveal at the end, I can’t help but wonder if all that dialogue wasn’t in fact intentionally misleading to make the audience think exactly that, so as to properly shatter those preconceptions at the end, to show off and emphasize just what sort of person Qi’ra is, what she’s capable of. Because Qi’ra truly ISN’T a victim. She makes her own choices, she has agency, and she unabashedly owns what she’s done and what she’s willing to do. THAT is what makes her such a strong female character, regardless of which side of the conflict she happens to be on. there were bits later in the film particualry just before the final confrontation with dryden Vos, that i was really quite worried that the film was going to play the tropes straight and Punish Qi’ra in the end – by killing her off – it would have been almost the expected move, and I’m glad they didn’t, she is an interesting character, and i really want to explore here future – post solo. maybe in a novel?